Going skiing down the mountains can be an exciting way to spend the day, but sometimes you want something a bit calmer. 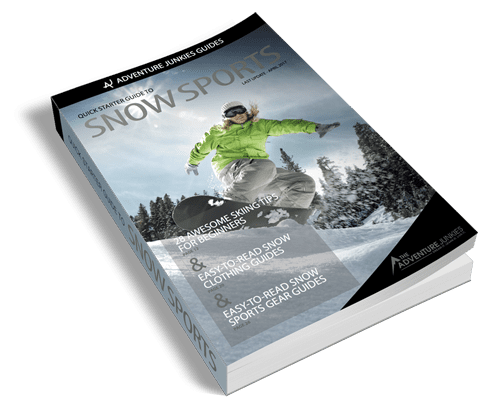 That’s where snowshoeing comes in – the sport is easy on your joints, but you can get a surprisingly hard workout in pushing your way through all that snow. 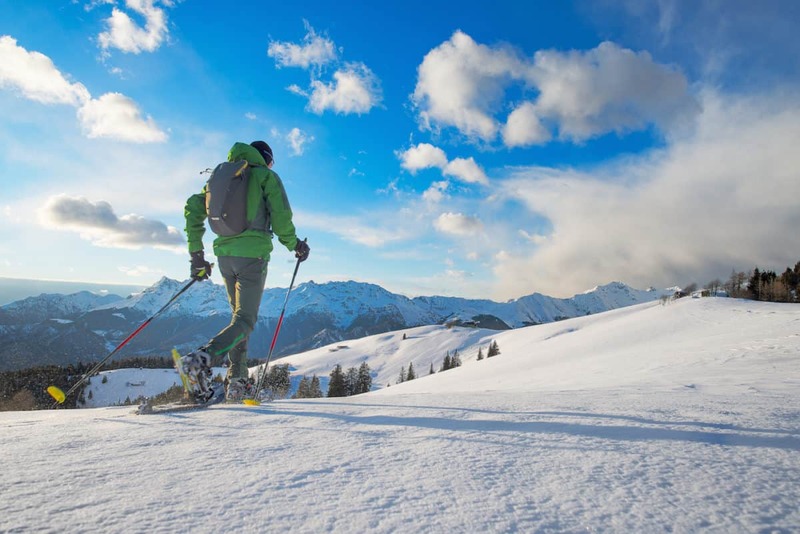 If you’ve never been before, here’s our snowshoeing tips for beginners to get you out there trying a new activity! Just like when you prepare for a skiing trip, it’s important to wear the proper clothing when snowshoeing. Layering your clothing is the key to staying warm and dry. If you’re already an avid hiker, you can use many of the same pieces of clothing for your snowshoeing adventures. Here’s a quick guide to layering up. Your first layers are thermal leggings and a thermal top. Base layers should be synthetic or wool because these materials wick moisture and dry quickly. Read our guide on the best base layers to learn how to choose yours. On very cold days, you’ll want a good mid layer to keep your core warm. When choosing this layer it’s important to remember that everyone experiences the cold differently. Popular mid layer options are fleece jackets, down jackets, soft-shell jackets and down vests. Outer shell jackets and pants keep you dry. They should be waterproof and breathable. Don’t forget your extremities – you’ll want wool socks, waterproof boots, waterproof gloves, and a wool hat to keep you warm from head to toe. 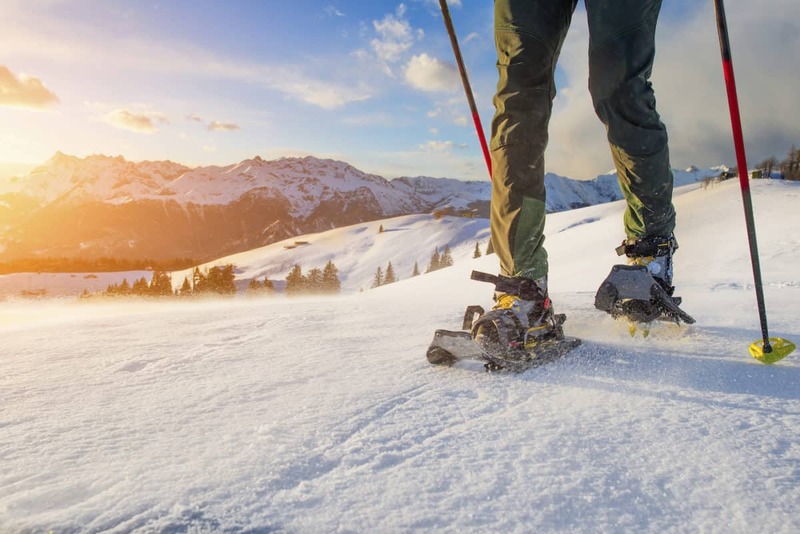 Whether you’re renting or buying snowshoes, it’s important that they fit well and are designed for the type of terrain you’ll be on. 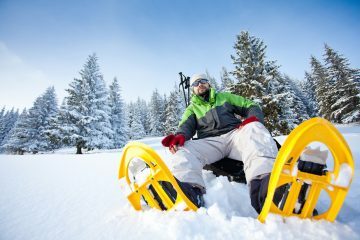 The three most popular options are ones designed for flat terrain, ones for rolling terrain such as hills off the regular trail, and ones built for the steep, icy terrain of the mountains (not recommended for beginners). The flat terrain ones are easiest for beginners to use, as that’s the terrain they normally begin their learning on. Most snowshoes these days are fairly easy to put on, as they go right over your waterproof boots you already have. You simply put your boots in the snowshoes, strap up, and you’re ready to go. The fit should be snug so your feet aren’t moving around, but not so tight that you’re in pain and will get blisters. Don’t forget about staying hydrated even when you’re outside in the cold. According to Snowshoe Magazine, you get dehydrated faster by cold, dry air, so put a few water bottles in your backpack for your trip. Some snowshoers also like to carry a small day backpack with a water bladder like the CamelBak Antidote Reservoir. Also make sure to pack plenty of snacks or a lunch depending on how long you’ll be out for. When you’re first starting out, using poles is highly recommended to help you get going. Make sure the poles are the right height before you start, which should allow your elbows to be slightly bent when holding them. You’ll also want to put your wrists through the straps to have a sturdy grip on them the whole time and prevent injuring others should you lose control of them. 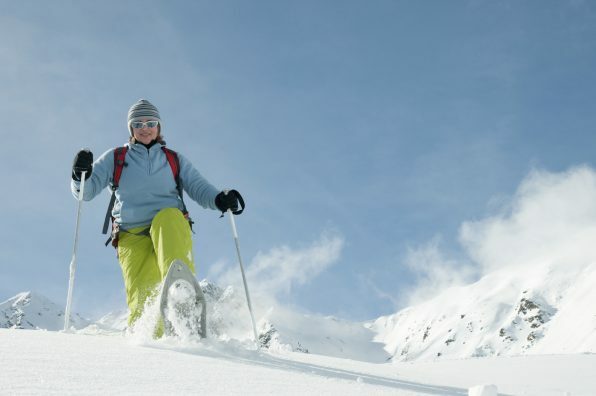 Once you’re strapped in to your snowshoes and poles, it’s time to take your first few steps. The motion is very similar to a normal gait pattern, as you’ll lift up your feet one at a time while proceeding forward with the pole on the opposite side. 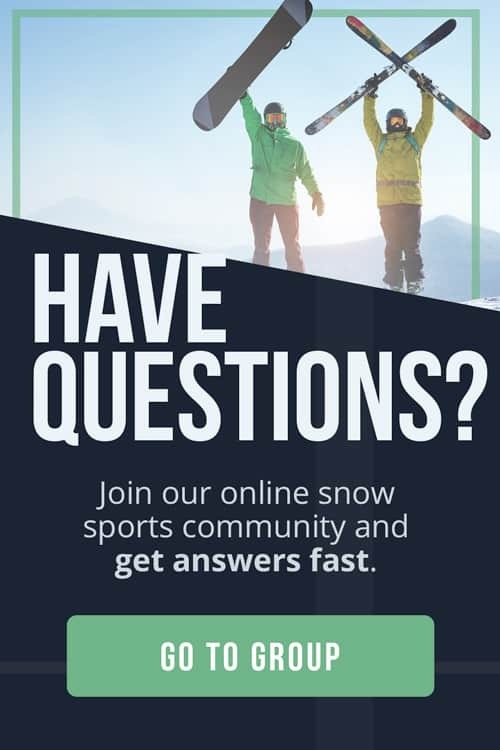 Your feet will need to be wider than normal to compensate for the width of your snowshoes, so it’s common for your inner and outer hips to be sore after your first session. Don’t jump right into going on a trail with steep hills in the mountains – you’re setting yourself up for disaster. You need to learn the basics first, so practice on a flat area without much traffic, if possible. Good places to begin are cross-country skiing areas or areas where you need a permit, but will be guaranteed to be flat and groomed. If you come later in the day, there might be plenty of snow that’s already been flattened by previous snowshoers. If it’s snowing or you come first thing in the morning, you might have to be the one who “breaks trail.” You’ll need to move slower and lift your feet higher than normal to start to flatten the snow, but you’ll get in a great workout! To avoid making the regulars at your trail unhappy, you should know the etiquette on the trails. 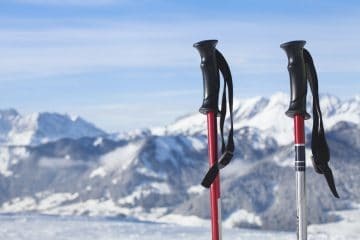 If you’re sharing it with skiers, they always have the right of way, as it’s much more difficult for them to stop or get out of the way suddenly. You’ll also want to try to stay out of the tracks the skiers have already created so you don’t make their time on the trail more difficult. Sometimes it’s unavoidable to go on hills when you’re a beginner if you’re with a group of friends who are more advanced. Knowing the techniques for both going uphill and downhill will make your day much easier. They’re not very complicated, so you’ll be glad you took the time to learn them when you get to more advanced terrain down the road. When you’re starting to go down a hill, keep your knees bent and put your poles firmly in front of you. Shift your bodyweight back to avoid tumbling head first down the hill. Slowly take each step with first your heel to provide stability, and then place your toe down. Going uphill can be challenging as well, especially when conditions on the trail are icy. “Kick stepping” is the most common approach, which involves quite literally kicking the front of your snowshoe to get past the snow and planting your crampons into the snow in front of you. This will allow you to make “steps” for yourself to safely ascend without slipping backwards. When you’re just starting out, it’s almost inevitable that you’ll fall at some point. One of the easiest ways to get back on your feet is to roll on your front side and come to a half-kneeling position on one knee. You can then steady yourself with your arms to come to standing on both feet. 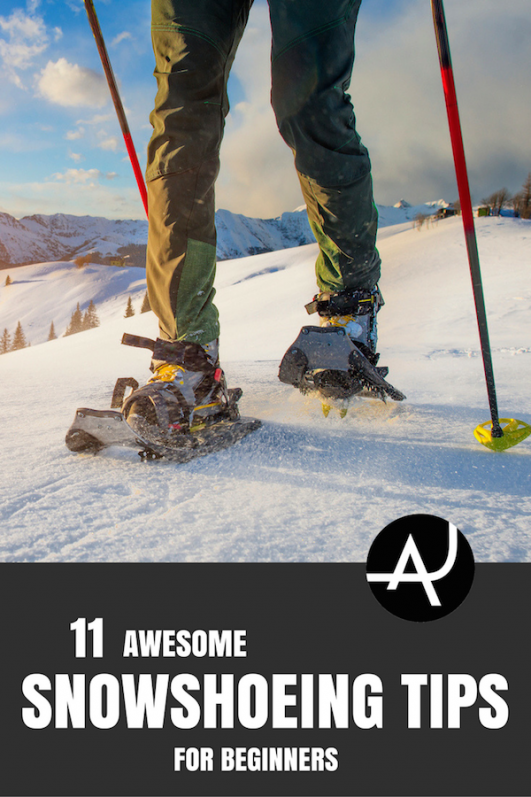 Being able to turn around when you’re on snowshoes is another vital piece to know how to do. If you have enough space and aren’t in a rush, you can simply walk in a larger circle to turn around and head in the right direction. Sometimes there won’t be enough room to do that, in which case you’ll want to place your snowshoes in the opposite direction and turn towards the direction you’re trying to go. Marissa lives in Seattle and has been hiking all over the Pacific Northwest since she was young. She loves finding hidden routes not often seen to the public and enjoying the solitude. Making a weekend of it and setting up camp is even better. Rain or shine, you’ll find her out on the trails.